Leading health management organization (HMO) Intellicare has recently signed up with Pan-Asian insurer FWD Life Insurance to provide insurance coverage to its growing client base through FWD Corporate Care. The contract signing ceremony was held on June 21, 2018 at The Peninsula Manila in Makati City. 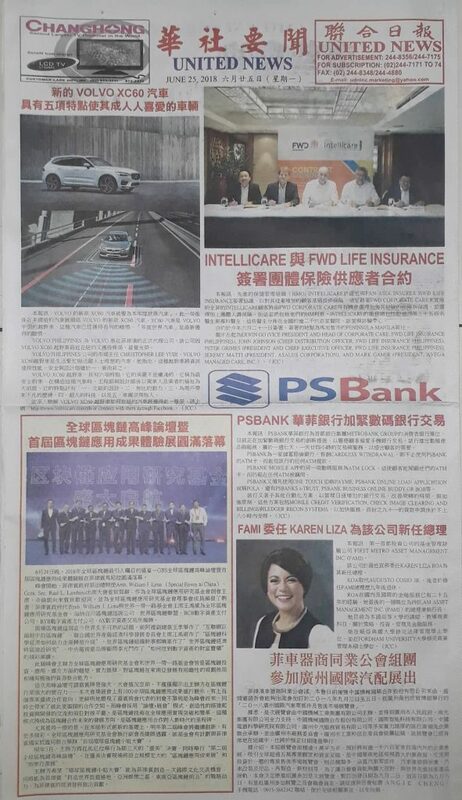 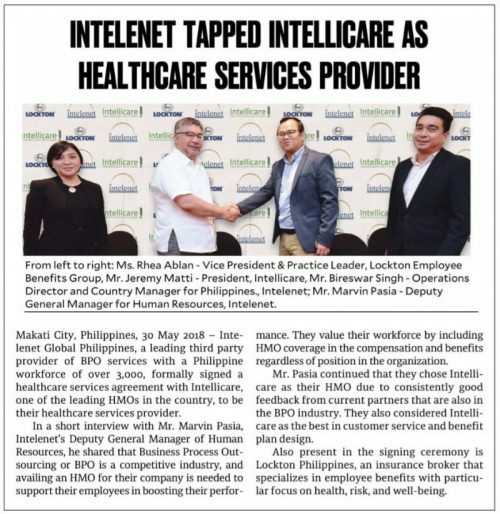 Read more about Intellicare’s partnership with Intelenet Global Philippines on the June 22, 2018 issue of Businessworld (Banking and Finance Section, S2/1) and Philippine Daily Inquirer (Business section, B3). “Today, we are trying to work toward a transformative relationship where there is a clear understanding of the nobility of the endeavor to expand the availability of quality and affordable healthcare to our population,” Chairman and President Mario M. Silos on Intellicare’s pursuit of better healthcare services, a BusinessWorld special feature on page 4/S4. 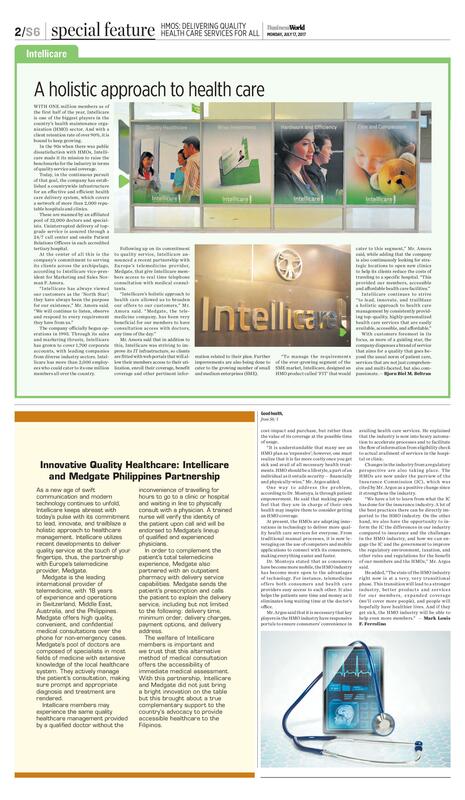 See photo for full story. 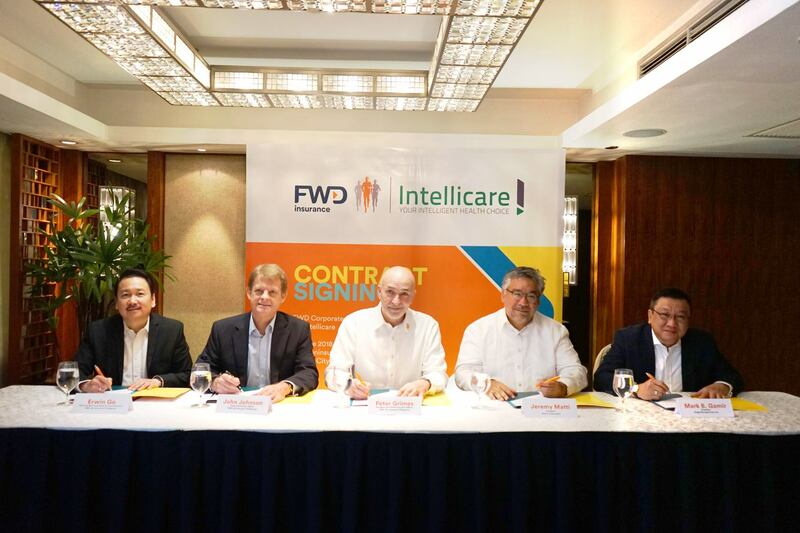 The Insurance Commission (IC) has approved Singapore-based Fullerton Health Philippines Pte. 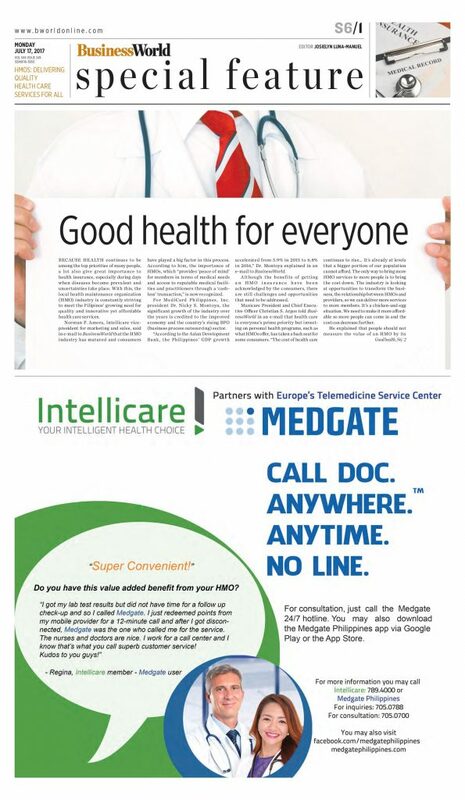 Ltd. acquisition of two licensed health maintenance organizations (HMO). 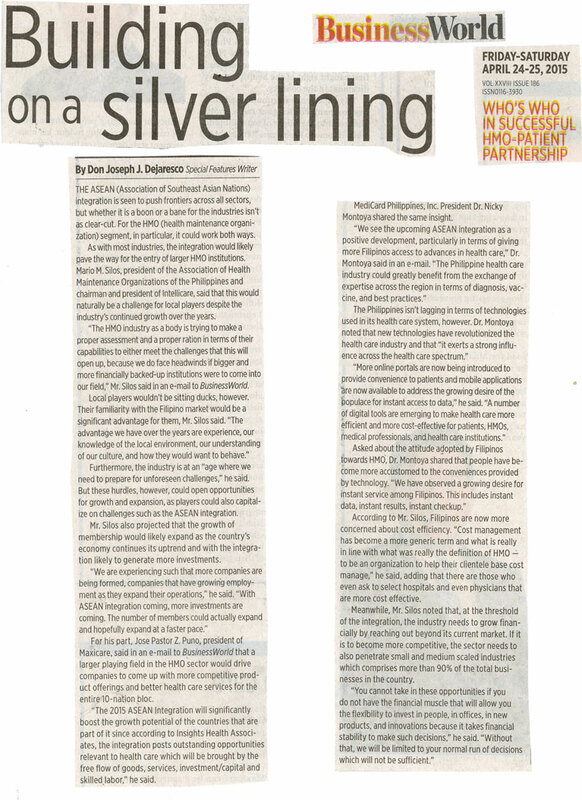 Who’s Who in Successful HMO-Patient Partnership? 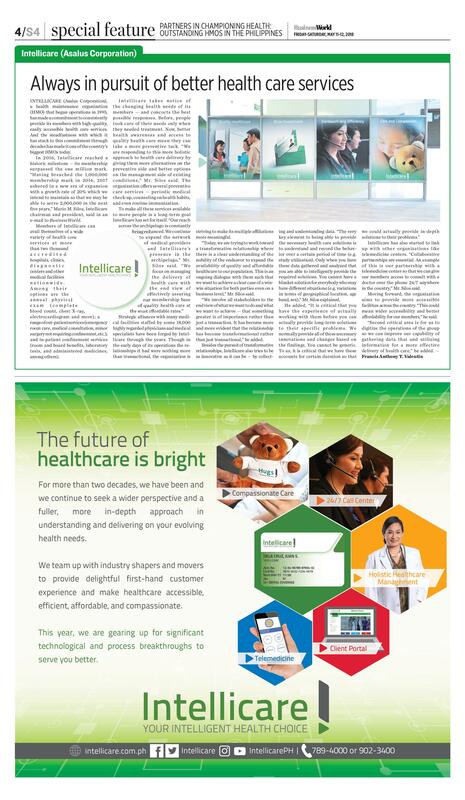 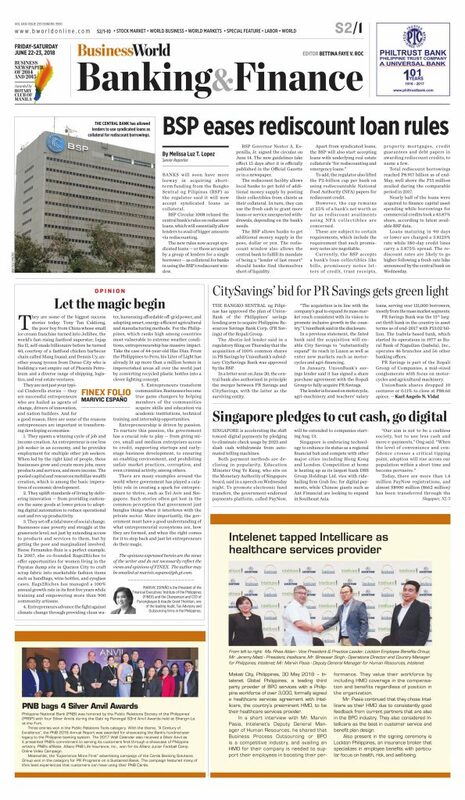 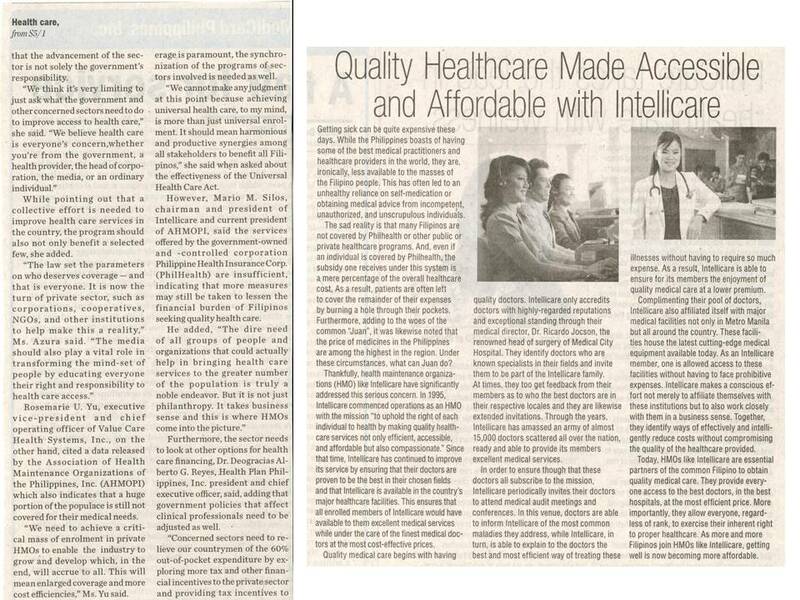 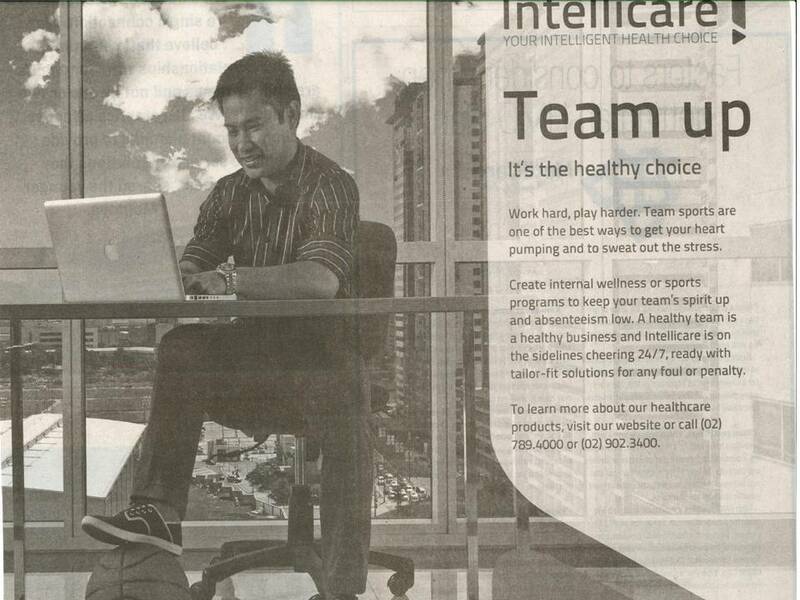 Intellicare, the country’s preeminent health maintenance organization, is featured on BusinessWorld. 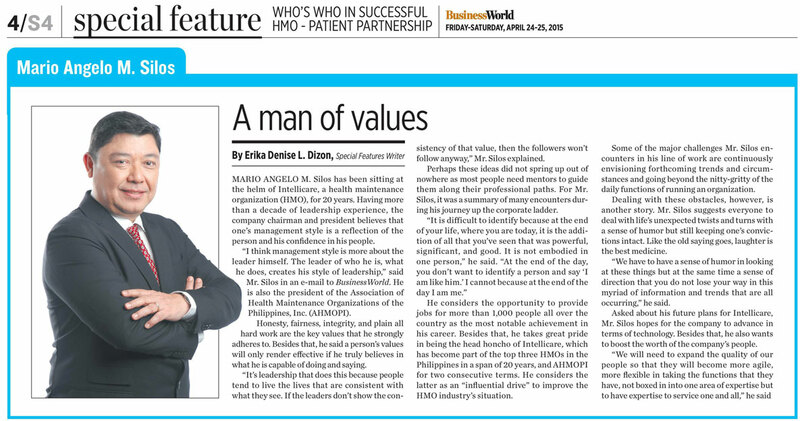 Mr. Mario M. Silos, President and Chairman, was interviewed about his management style and the future of the HMO industry as ASEAN integration comes in the picture. 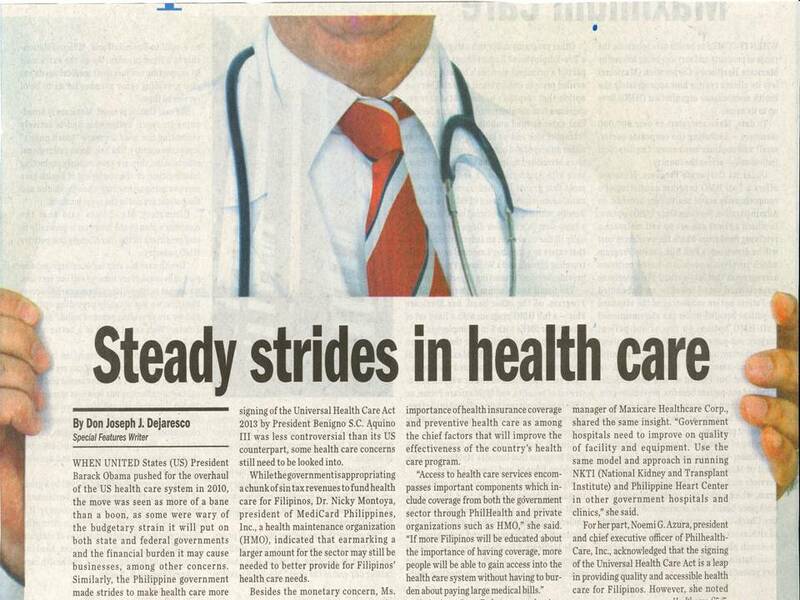 On June 25, 2014, BusinessWorld covered the HMO industry in their special feature segment. 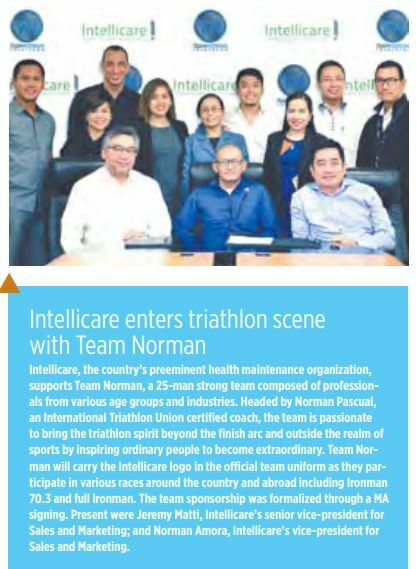 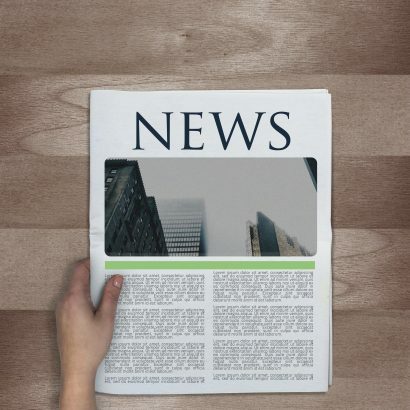 Intellicare, together with the other HMOs in the Philippines, were mentioned and were given the opportunity to highlight the benefits of enrolling in an HMO.